This article shows how to configure Linux to use the Fusion 7" and 10" capacitive multi-touch displays. 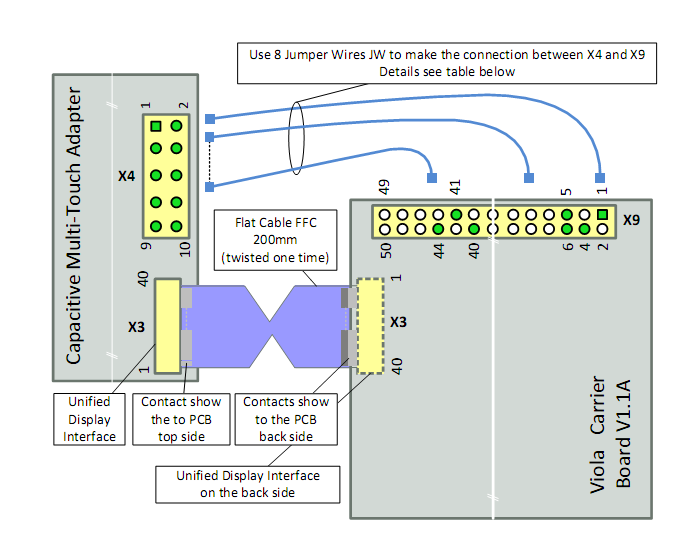 The multi-touch controller is connected using the I2C bus. Our Linux BSPs come with the fusion_F0710A (CONFIG_TOUCHSCREEN_FUSION_F0710A) driver which supports the multi-touch controller. The driver needs configuration data containing the information on how the controller is connected to the device (I2C bus and GPIO information). The Kernel for Tegra based modules provides the platform data by default. Hence, enabling the driver is simply a matter of loading the kernel module. On our device tree enabled Kernel (Vybrid and i.MX6 based modules), this platform data is by default disabled due to conflicting pin configurations. Hence enabling the driver on those kernels requires rebuilding the device tree. 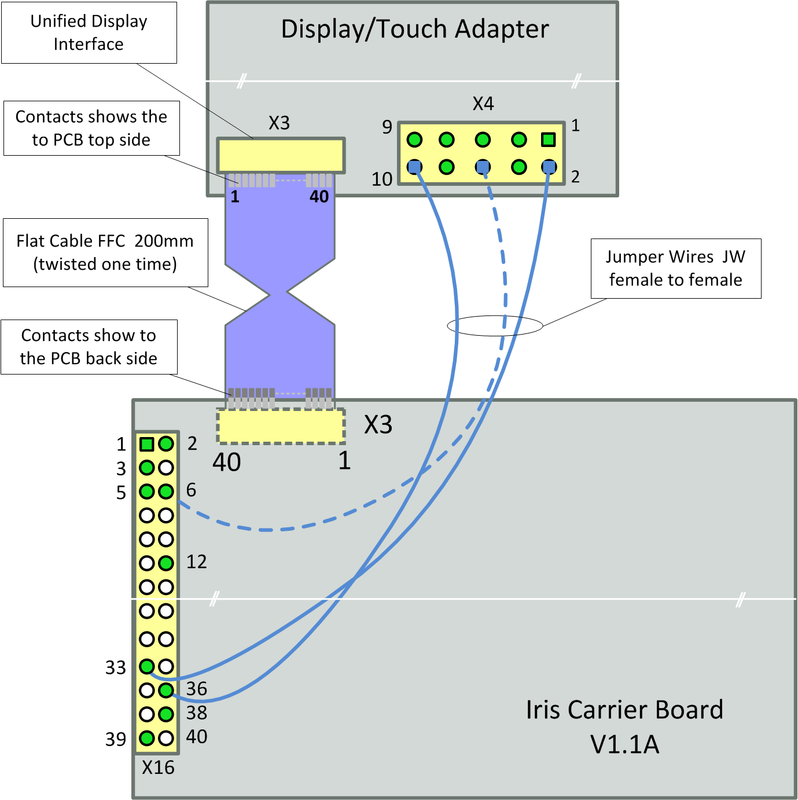 Refer to the general product page Capacitive Multi Touch Display concerning how to hook up your carrier board to the adapter board connected to a particular multi-touch display. 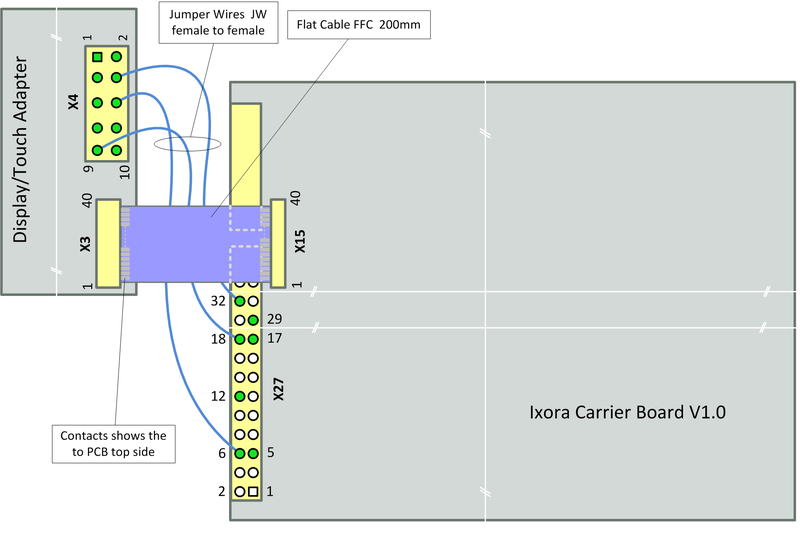 However, for historical reasons, the connection to the board differs slightly on Linux compared to WinCE (on Linux, both the Colibri Evaluation Board and the Iris use the same pins). To configure the display resolution, different methods are available. The Linux kernel arguments method (e.g. by using the U-Boot serial console to alter the vidargs environment variable) works on all our modules. Refer to the article "Display Output, Resolution and Timings (Linux)" for more information. Some displays are able to work with various timings but others only work if correct timings are configured. This step is only required for device tree enabled kernels (Vybrid, i.MX 6, i.MX7 and iMX6ULL based modules). For detailed information how to alter and rebuild the device tree, refer to the Device Tree Customization article. On Colibri modules the multi-touch controller uses the PWM_B/PWM_C pins as pen down and reset interrupt, so the PWM functionality on these pins has to be disabled and the relevant GPIO functionality enabled and assigned to the touch driver. By default, the PWM frequency is 200 Hz. Note that the enumeration of &pwm0 (the 0x34 above) may have been changed in the device tree you are using. The following shows how one display the current setting from U-Boot. In this example the enumaration did in fact change to 0x3a, the periode is still set to the default 0x004c4b40 = 5000000 ns. The PCAP preprocessor macro needs to be defined at the top of the device tree. 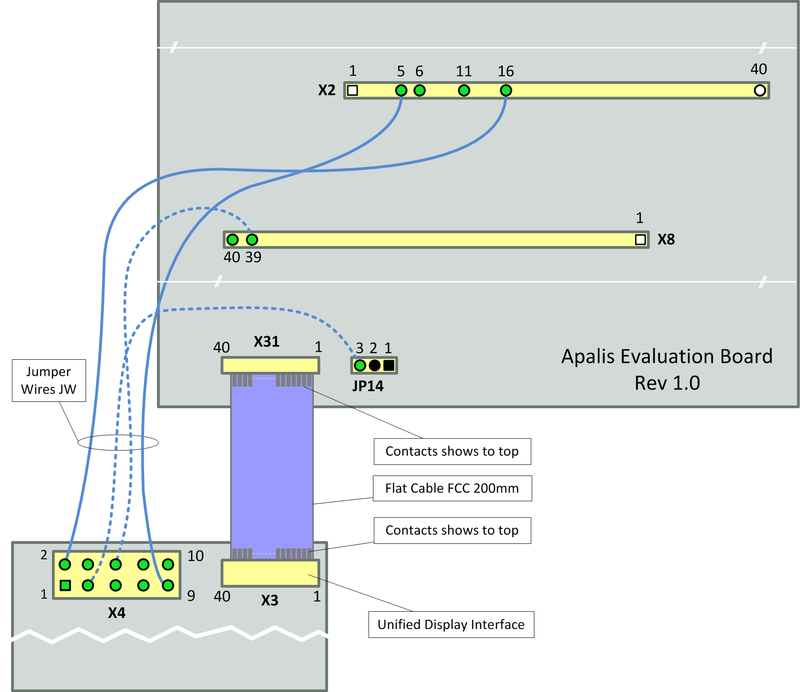 There is no need to alter the device tree on Apalis i.MX6 for the Fusion 10” display. The relevant nodes are enabled by default. On i.MX7 based devices the two PWM instances need to be disabled (which also frees the pins required by the Fusion I2C node) and the Fusion I2C multi-touch controller need to be enabled. Also on i.MX6 ULL based devices, the two PWM instances need to be disabled (which also frees the pins required by the Fusion I2C node) and the Fusion I2C multi-touch controller needs to be enabled. On all Tegra. i.MX6, i.MX7 and i.MX6 ULL based modules the driver is available as a kernel module. See the next chapter on how to load the kernel module. Now one can try to debug the touchscreen using the "evtest" application. This program shows some informations when you touch the display. 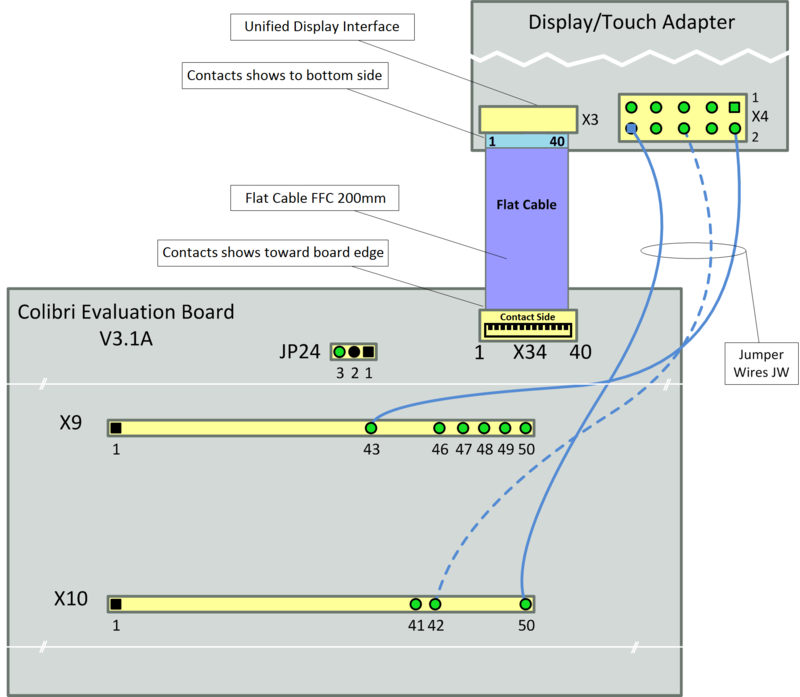 Another useful program is the "xinput_calibrator", you can run it to calibrate your touchscreen display. The GPIO pins for touch detection and reset are fixed to the documented ones above via platform data. However one can adjust this by altering the boards platform data (see e.g. arch/arm/mach-tegra/board-colibri_t20.c or arch/arm/mach-mvf/board-colibri_vf.c). In order to make the X-Server recognize the touchscreen the following section in your /etc/X11/xorg.conf is necessary. Our images for Tegras and Vybrid based modules already have the section added.